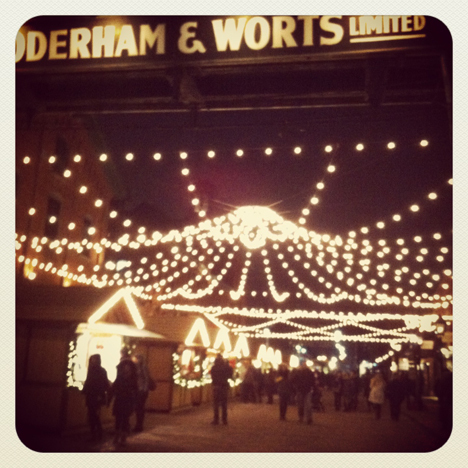 Last week a friend and I made it to the Christmas market at the Distillery, but it was really cold! I think it was -20℃ with windchill. But everything was so pretty and magical. I managed to take a few blurry pictures. 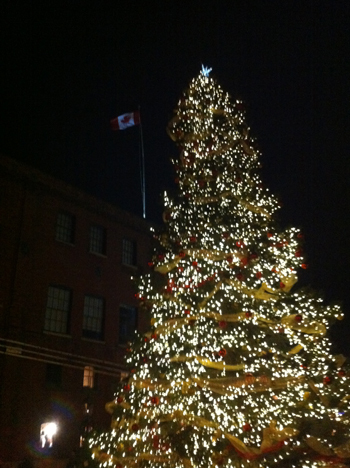 And there was a giant Christmas tree! 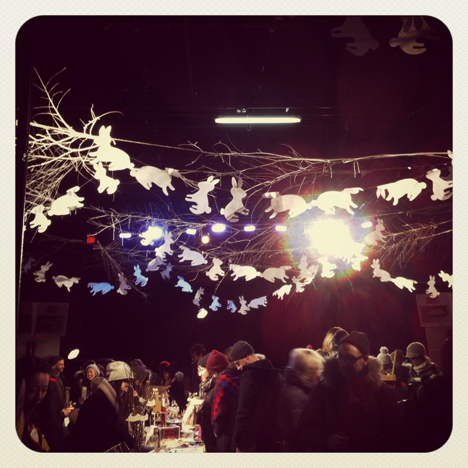 This past weekend I went to the City of Craft show. The organizers are the best at festive decorating! 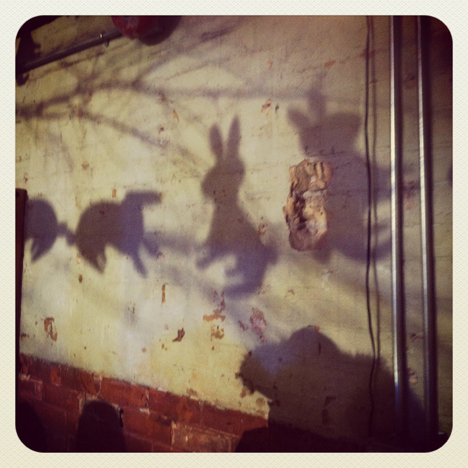 I can only imagine how much work (and love) went into cutting out these paper rabbits. All the vendors were amazing, my friend and I were ooh‐ing and ahh‐ing at every booth. And the wonderful thing about the internet is that you, too, can visit these shops even if you couldn’t come to the show! 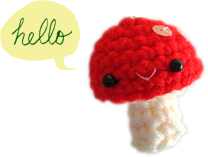 :D I especially love the absolutely adorable miniature animals by Jenny Wren, I wonder if she would sell the lovely necklaces displayed at the show when her shop reopens, there was this fuzzy squirrel with a mushroom sitting in a tiny bell jar pendant!! And the super cute needle‐felted animals by Lesley‐Ann Green! Her business card has a really cute and kind‐looking fox on the back, I propped it up on my desk and it makes me smile every time I look at it. It’s going to help me get through all the papers in the winter term I think.